Sometimes you hear so many good things about a place that your expectations are set so high you can’t help but feel abit disappointed when you eventually get there yourself. 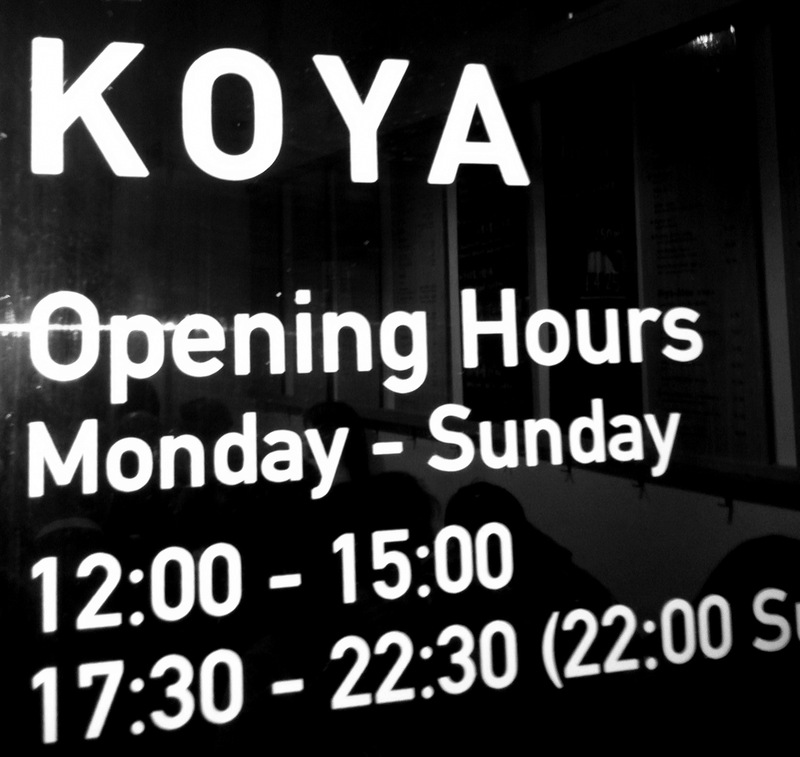 This, we are happy to announce, was certainly not the case when we ate at Koya Japanese Udon tonight. Nestled on Frith Street in the centre of Soho, this unassuming little establishment starts to attract a small queue of patient diners but the queue moves quickly and is well-managed by the staff. Yasai Ten Mori (assorted tempura vegetables) the batter was light, crispy and delicate with a great selection of vegetables. 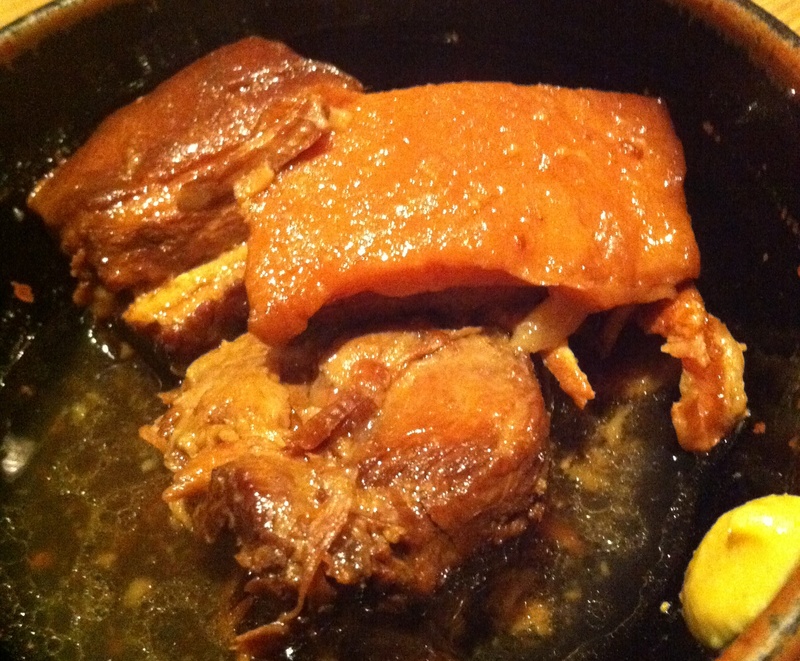 The Kakuni (braised belly pork in cider) was simply divine. The cider provided a rich, sweet flavour and resulted in a beautifully moist meat that literally fell apart as you tucked in. The wasabi on the side provided a good contrast to the fatty belly. Looooove that momentary breath of fire when the paste first touches your mouth. Ha! 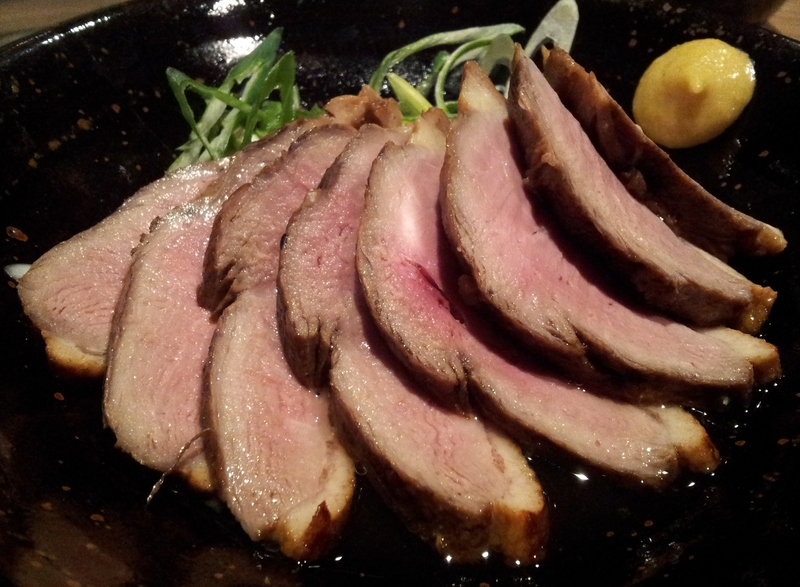 We completed our trio with a Kamo Roast (roast duck) served with the same fierce wasabi sauce that worked well together. The duck actually came in a little broth that was just quietly pleasant. Of course, Koya’s main draw cards are the udon dishes. The thick wheatflour noodles were perfection-in-a-slurp. Served in a delicately seasoned broth (dashi), the udon was a star on its own. 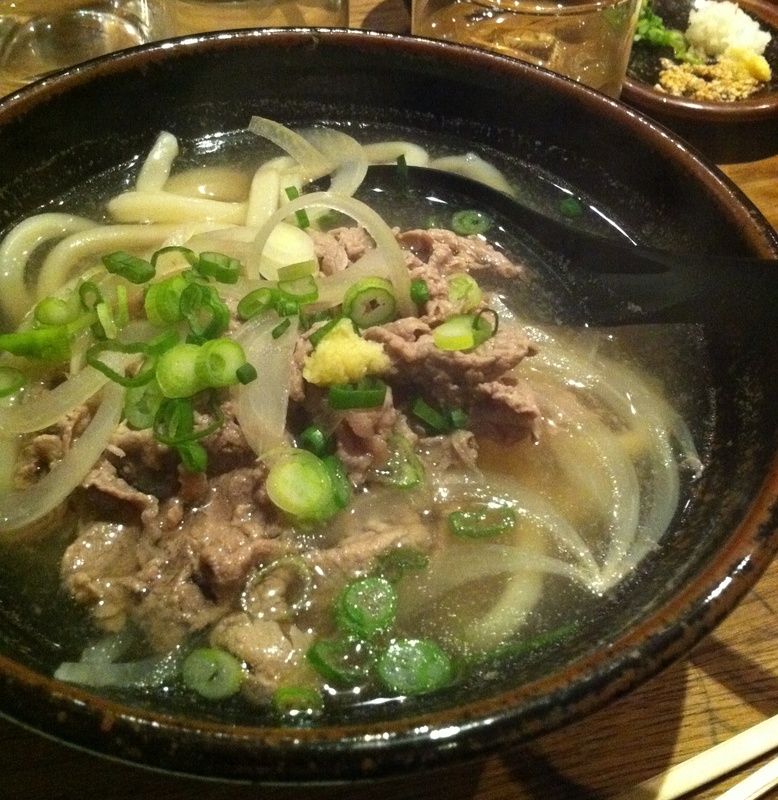 (BW) chose the beef udon which was served plainly with finely sliced spring onions, white onion and gingery beef. Nothing more. Uh! I wanted seconds. (GH) had the pork and miso version. 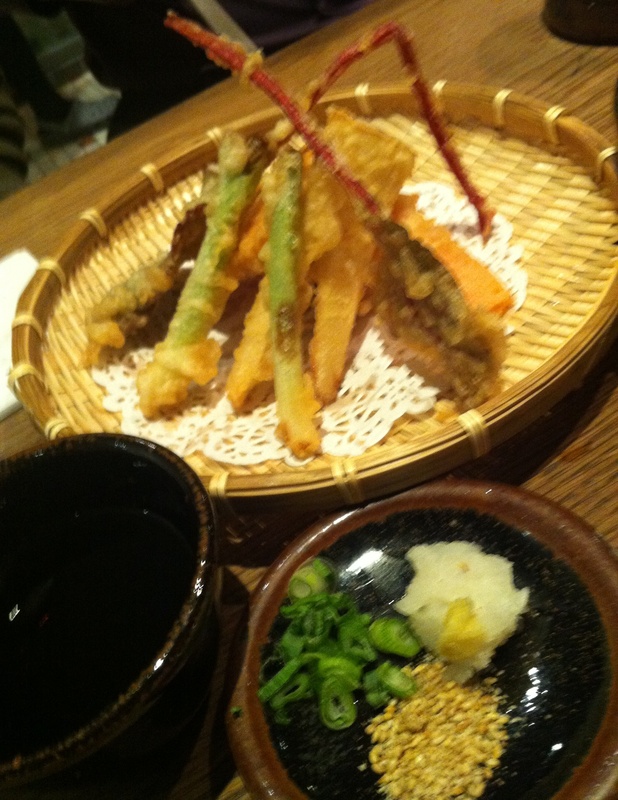 There was a depth contributed by the intense miso flavour which very much complemented the pork. There was a hint of sweetness in the broth too! Again, it was just simply garnished with sliced spring onions. In lay terms, it was a knock-out! So I dropped by Sains’, and noticed the fish pie mix is on offer so I got me about 600g. (For those not familiar with this, it is a mix of cubes of salmon, normal white fish, and smoked haddock. Good flavour actually.) Already got some pasta at home, so I just needed a good tomato sauce / passata. Also picked up some asparagus on the way to the till, then headed home. As it turns out, I had a chorizo left from the Borough Market (I swear Brindisa makes the BEST chorizo in the world – try some for yourself!). So I chopped it to pieces and made it a co-star in this pasta dish. While the pasta is happily boiling, dry fry the chorizo pieces in a large pan or a wok for about 4 minutes. No need to add oil as the fat in it will be sufficient. In fact, too much rendered out, I had to remove some with a paper towel. Spoon about a quarter of the sauce just the sauce, into the pasta and stir around. You just want to coat the fusilli in a nice light red tinge. Save the fish/chorizo. Make a mound of pasta on a plate, top with fish and chorizo and some more sauce. A couple of little basil leaves on top. Serve with asparagus on the side. Done in less than 20 minutes, and less than a fiver per serving. Voila! EEEEEEKKKKK – erratum, spotted after having just published it. Fusilli has 2 Ls. edited now. whew. Inspired by the Jamie Oliver show I saw on telly the other day, I thought I’d give this dish a try. I first heard and tasted it at the Notting Hill Festival many years ago. 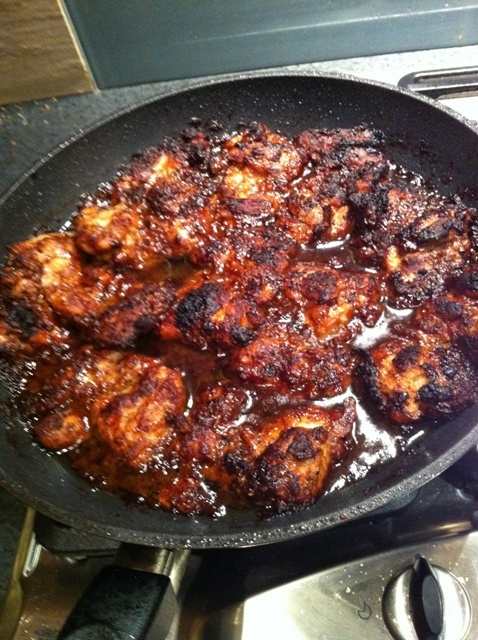 Grilled chicken, almost blackened, cooked in half drums, and yes, very tasty! I believe this is of Jamaican origin, but you can’t help but notice a few of the ingredients are of oriental origin. This forms a brownish sauce, unappetising but packs a punch!! Marinate the chicken in the sauce for about 2 hours. If you are in a hurry, dig your hands in and massage the marinade into the chicken. Now, let’s pretend that chicky’s been swimming there long enough. 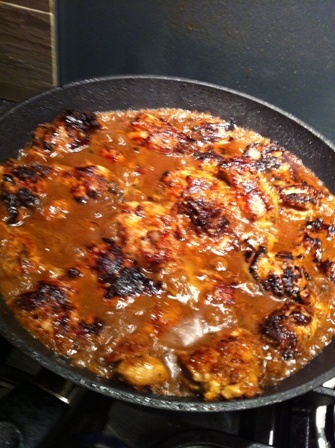 In a hot, heavy pan, I browned the chicken on both sides and set aside. I did this in batches so as not to overcrowd and steam the chicken. Once this is done, I poured the remaining marinade onto the pan, added about half a litre of stock and returned the chicken (see pic). Let this simmer a little bit, say 10 minutes to cook the chicken, reduce the stock and thicken the sauce. Then, finish the dish under your hottest oven grill setting, maybe a good 5 – 7 minutes in there until golden and crusty. This leaves a sauce with a layer of fat on top. Spoon the oil out but leave the nice tasty sauce at the bottom. Don’t forget to scrape the sticky bits at the bottom of the pan too!!!! I had spinach and boiled potatoes with this one, but I guess this is best enjoyed with lots of rice. MMMMMMMMM!!! I leisurely strolled around the Old Town on the way home after my Body Combat and gym session last Saturday. I cut through Venn Street and the market was bustling!! I love food markets – the fresh produce, the busy punters, the free tasting, and the unusual things you discover every now and again. A few weeks ago, I dropped by the fish stall and got me some razor clams, oysters and a live crab. Lovely stuff. The fishmonger is friendly and helpful, and the items for sale are of undeniable quality. This week, I chanced upon some mussels. I can’t remember where they were from but they aren’t the usual green mussels or the Scottish ones sold at Sains’s. They looked so much bigger as well, so I didn’t have to think twice before buying half a kilogram. By now, I was marvin’. 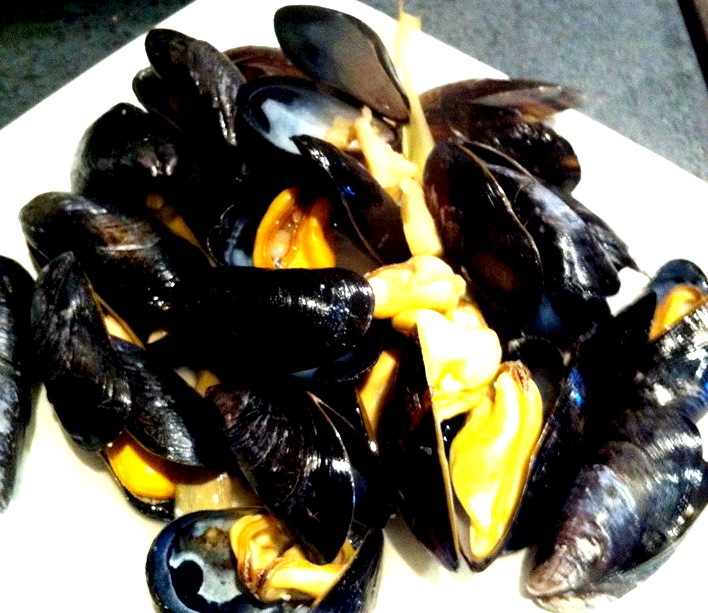 So, rushed home, rinsed the mussels in water and de-bearded them. Surprise, surprise — all of them were alive. Usually, I’d have to chuck a few away, but this indeed is a nice surprise. Bashed a stalk of lemongrass and about 2 inches of ginger. Placed them in a pan with about an inch of water; covered, and brought to boil. Once boiling, I dunked the mussels in and covered. After about a minute and a half boiling and steaming, I gave the pan a shake just to distribute the lemony and gingery essence around. One more minute, and the mussels are cooked. They don’t really take much time. Once open, they are perfectly cooked 😀 Any unopened ones should be discarded; I didn’t have any in my batch — another nice surprise 😀 No need to add salt by the way, for obvious reasons. I was so tempted to cook them in cream like the French do. But in keeping with the #teamlean and #project6pack resolutions, this makes a perfect, less-calorie alternative. All for under £3.